Matthew finished the intensive Chinese course at Mandarin House in December 2012 and came back to Beijing to attend the CPPCC in March 2013. One of the main topics of the conference was China’s macroeconomic policies and trends. 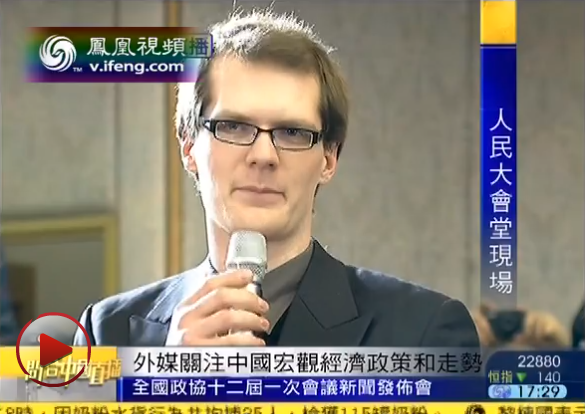 As a reporter from CAMG Media Group, Matthew posed his question to the Chinese advisory body in Mandarin. In this case, the response was less noteworthy than the question itself. Chinese journalists were immediately intrigued by this foreign reporter speaking Chinese and 6 of them pursued Matthew for an interview. Chinese People’s Political Consultative Conference (CPPCC) is an advisory body to the Chinese government, made up of 3,000 delegates from various professional sectors and regions of China. The CPPCC is held in conjunction with the National People’s Congress, the legislative body of China. 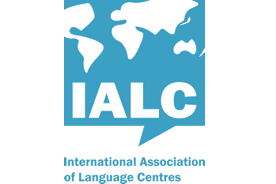 Collectively, these two conferences are referred to as 两会 liǎnghuì or the "two meetings”. Do you hope to someday attend the "two meetings". Or maybe you just want to impress Chinese people on the street? Contact us now to get more information about our Mandarin Chinese classes!